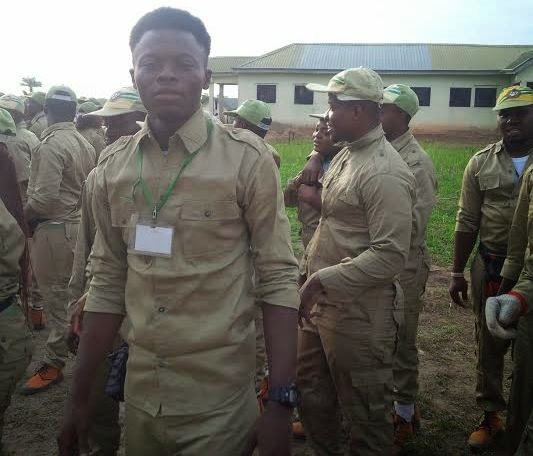 Bunmi Adeyera, a Corp member in Nasarawa state orientation camp, yesterday almost lost his life at the camp after being severely maltreated by security operatives. 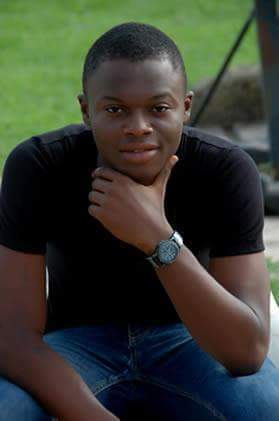 According to an eye witness who pleaded anonymity, “Bunmi is sick and today locked-up in the guard room for hours until he collapsed and became unconscious in the Guard room”. A call through to Bunmi Adeyera who confirmed the incident. “To all my fellow NYSC corp members around Nigeria, today, I witnessed how one of my colleagues, Adeyera Olubunmi (State code: NS/15A/0134)(Call-up no. : NYSC/NIJ/2015/061287) almost died due to maltreatment in Nasarawa state NYSC camp by security officials. What happened this morning was that Bunmi Adeyera who is also Platoon 4 leader and was obviously sick went to the Camp clinic to collect some drugs to combat his ailment and was approaching the camp market to get food (since food was no longer available in the camp kitchen) in order to use his drugs when he was stopped by security operatives (Nigerian Police force and Man’O War) and was asked to go back into the camp hall for lectures. He tried explaining to them that he was sick and needed to take his drugs but they did not listen to him, rather he was told to start ‘frog-jumping’.Bunmi quietly explained to them that he might not be able to ‘frog-jump’ because of his health status. The next thing I saw was that the security operatives (who were obviously Hausas, because they communicated fluently in Hausa language) told asked him if he was Hausa or Yoruba. When he told them he was Yoruba and he hails from Lagos state, they seized his NYSC identification tag and marched him straight to the ‘Guard room’ allegations of ‘being stubborn’ without giving him any chance of speaking in his own defense. This place called Guard room is a bathroom located at the entrance gate of the Nasarawa Camp where soldiers urinate at all time and with no cross-ventilation. We all watched them take the poor sick Corp member to the Guard Room, and was detained there going to three hours. The next thing I saw was people from the camp medical unit running towards the gate with stretcher in their hands. Behold Bunmi had collapsed and fainted in the so-called guard room. Even while the Red Cross team was trying to rescue the situation, the soldiers sent them back saying that all was pretence and that when he wakes up, he will return to the guard room. The doctors battled for his life for about an hour before Bunmi Adeyera became conscious again and was later stabilized. Every Corp member on Camp including NYSC officials know Bunmi to be easy-going, obedient and friend to all which is more reason he emerged the leader of Platoon 4. The population of those who went to the clinic to check on him is one that I have never seen on camp although they wouldn’t allow us take pictures of this ugly incidence. Bunmi Adeyera is a graduate of mass communication from The Nigerian Institute of Journalism, Ogba, Lagos state. All attempts to reach the Nasarawa state co-ordinator, Mrs. C.I Uba, proved abortive.